Lightweight and portable, the Nilfisk GM 80P is the symbol of Nilfisk quality and provides durability, high performance and efficient cleaning - required by dust control professionals. lines, chemi/pharma industries, hospitals and offices. GM 80P is a versatile machine with high suction power and can be used for both industry cleaning and integrated into production facilities. The unique multi-stage filtration system allows for adaption to special applications where high filtration level and low emission is required. Choose between two types of dust bags (fleece or paper), four different washable sack filters (Polyester, Cotton, PTFE or Nomex) and special exhaust filters with HEPA or ULPA classication. 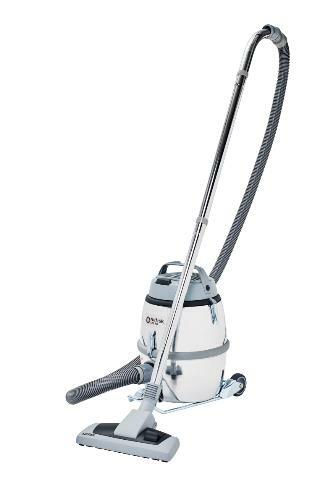 GM 80P can handle every heavy duty cleaning task and has become a vacuum cleaner icon in variety of industries.